... the Kennet and Avon Canal. Through here, between Semington and Seend locks, the canal is following the course of Semington Brook, with swing bridges at intervals to allow tracks and paths to cross. 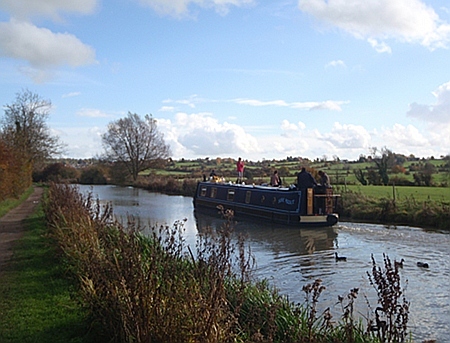 Seend village is visible in the distance, and should you wish you can walk and cycle for miles beside the water. 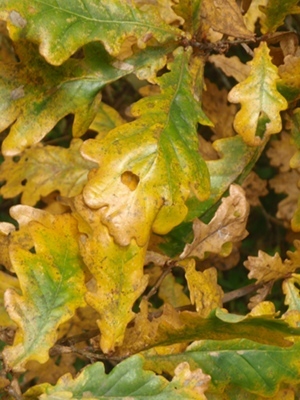 The wood is one of our favourite walks ... with such a huge selection of trees, native and imported, that makes it Melksham's own mini-arboreteum. 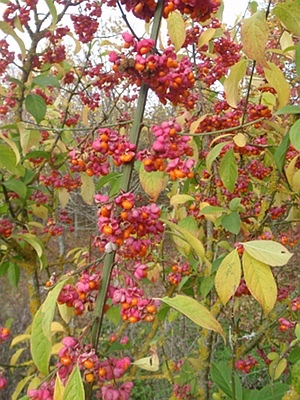 Amid the autumn colours are other flashes of bright berries, and we're free to wander in the wood even off the public footpath that passes through it. Coding efficiency - do not repeat yourself! Looking forward to the autumn. Taking the lead, not the dog, for a walk. Are people who walk into Melksham being asked to subsidise parking?